Some of you must have seen and observed my handwriting fonts in the agenda, or my notebook, and many of you loved it too. So I would just like to share them. I use this font most of the times. This is my basic font. This font I discovered while drawing it, itself. I had no idea I would be drawing this one, but it ended up like this. I just made it sure that the lines's ends were broader than the first font. This font is something anyone can draw. I tried red colour here, but I somehow don't like this page at all. The finishing is not good, and the design is unsatisfactory. The 'Journo' has an Indian effect, as you can see. I tried putting it inside a cloud. I used a very normal and a formal font style here. This was the first page that I drew. Hence you can see the strokes are not confident. I messed the heart shaped balloon, but it looks acceptable. This is taken from the Agenda. I've used different styled borders here. To finish, I've used glitter-pens. This one is from the Agenda, too. I've used a silver glitter-pen, instead of a red one. 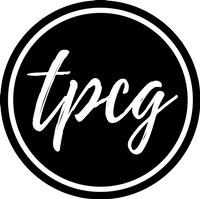 TPCG. I've used a very simple font, with pink highlights. This is what happens after you're tired drawing big fonts, and colouring them! These were the different fonts that I've used this year. If you need any help with them, comment below, and I will be happy to help. Also, if you know other font styles, let me know.